To improve your chances of being successful at spread betting, it is important to understand the rules of the game and the terms used. Although the concept of spread betting is rather simple, if traders don’t know the common terms of spread betting, they run the risk of messing things up, or they may not understand completely what is happening during the betting process. Account limit – The maximum Pound per point that can be taken in relation to one’s account size. For example, if an account is funded with say £1,000 it would not be possible to trade a spread bet at £100 a point, unless more money was deposited or a higher credit limit was approved. After hours trading – Spread bet firms will often make a market on different products even after the relevant cash market has closed, or before it is open (often referred to as pre-market). For example the London Stock Exchange closes at 4.30pm, but it is possible with some spread firms to trade Vodafone up until 9pm. Basis Point (bp) – 0.01%. For example, if an interest rate rises from 6% to 6.5%, it is said to have increased by 50 basis points. All short interest rate contracts are traded in basis points. Bear market– when most stocks in that market are going down in price. Bearish – Bear, expecting prices to fall. Bet size – The amount of money bet/traded per point. Bid price– the price at which you can sell a share, commodity, index, etc. Bid-Ask Spread – The difference between the bid price and the offer price, the best to trade are normally those which have a tight bid-offer spread because cost of doing business is cheaper. Binary Bet – A fixed payout/loss bet similar to High Street bookmakers but translated into a price between 0-100. Binary betting allows you to take a view on whether an event is going to happen or not, for example whether the FTSE is going to close up on the day or not. There are only two outcomes with a binary bet – as an event either occurs or not. 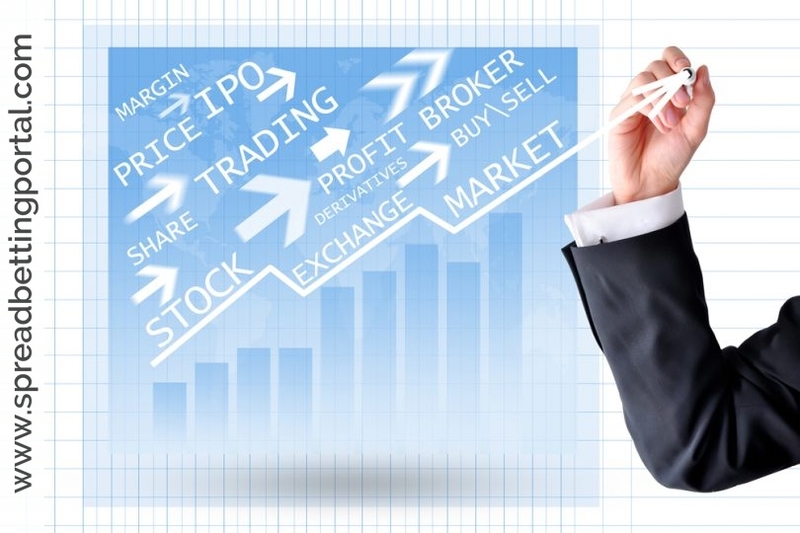 Binary markets are quoted on an index between 0 and 100 – if the event in question occurs then the market settles at 100 or if the event does not occur, the market settles at 0. Bond– The investor loans money to an entity (company or government) by purchasing bonds. The bond is for a defined period of time at a specified interest rate. If the market price of the bond falls this implies a rise in the interest rate yielded to the purchasing investor, and vice-versa. Broker – a company or individual who acts as your middleman buying or selling your stocks or commodities. Bull market – when most stocks in that market are going up in price. Bund – The European bond contract often referred to as the German Bund. Capital Gains Tax (CGT) – the tax you must pay on profits from capital investments held over a certain period of time. Incurred by the profit from selling an asset that has increased in value. Capital losses on assets liable for capital gains tax can generally be offset against total capital gains for the tax year. CBOT – Originally a commodities exchange established in 1848. Today it trades both agricultural and financial contracts. As well as the original agricultural contracts such as such as wheat, corn and soyabeans, they now offer options and futures contracts on a wide range of products including gold, silver, U.S. Treasury bonds and energy materials. CFD – A derivative contract that replicates most of the financial benefits of owning the underlying asset. Charts – the price history of a stock or commodity plotted on a chart in order to find patterns, used in Technical Analysis. CME – The second largest futures exchange and the largest in the United States. Originally setup as the Chicago Egg and Butter Board in 1898. The exchange now focuses on futures on interest rates, currencies, equities and indices. It does still trade a relatively small amount of agricultural products. Commodities – actual physical products such as gold, silver, pork bellies, wheat etc., which can be bought or sold. Credit account – an account with a broker or trading company where you do not actually have to put in cash to make your trades. You do, though, have to provide proof that you have the assets to cover your margins. Credit limit – the amount of losses you can incur in your account before a margin call is issued. Currencies – different governments’ money in circulation, such as the dollar, the pound, or the euro. Cover – To sell a long position or buy back a short position as in ‘I’ve covered my Vodafone position’. Daily trade – A daily trade is a spread trade that expires at the close of that day and is normally used by a spread trader who expects to be in and out of the product that day. A daily trade can also be rolled over into the following day’s daily trade with ease for a small charge. Dax 30 – The main German stockmarket index. Day trading – placing and closing spread trade orders of a specific stock or commodity within one day, looking for a quick profit in a few hours. Deposit account– the opposite of a credit account (see above), where you must have enough money in your account to cover each trade you make. Derivative – a financial contract whose value is derived from the actual value of an underlying asset– be it the price of Vodafone or the price of Silver. This underlying asset does not need to be owned by either buyer or seller and can be a spot instrument or another derivative. Down-Bet – Another way to describe a short position or a position which will make money in a falling market. Dow Jones Industrial Average index (“the Dow”) – A correlated average price of thirty blue chip stocks traded on the New York Stock Exchange, one of the most used barometers of how markets are fairing, also an index that you can trade.